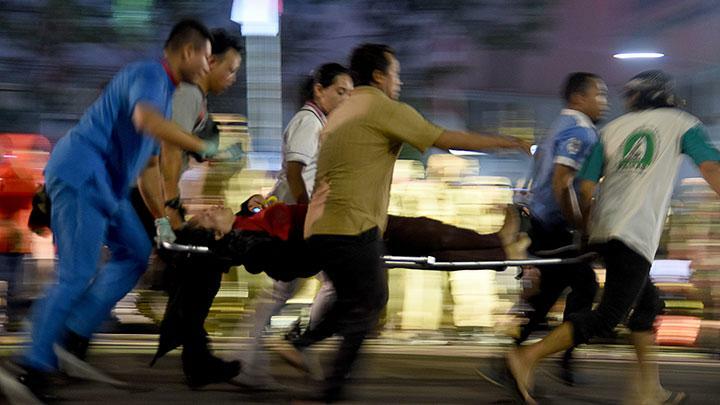 Three people were killed and 20 others injured when a train passed a crowd of residents celebrating National Heroes Day in Surabaya, East Java, on Friday night. The crowd had gathered on the edge of a railway bridge on Jl. Pahlawan at 8pm to watch a theatre performance titled Surabaya Membara (Surabaya Burning) near the Heroes Monument. According to kompas.com, the scheduled train was passing over the bridge and sounded its horn having slowed down to 15 kilometres per hour from 30 kph after the train driver saw the group of people standing on the railway. Some people reportedly lost balance as the train moved forward causing the bridge to vibrate, three of these fell 7 meters to the street below. The Transportation Ministry’s railway director general, Zulfikri, said the ministry will compensate the victims of the accident and expressed his condolences to the families who had lost their loved ones. However, he pointed out that railway bridges are not suitable places from which to view events. “The [law] clearly states that unauthorised people are prohibited from accessing the tracks for any reason. The railway cannot be used carelessly because it involves the safety of train travel,” he said in a press release on Saturday. Surabaya is known as the City of Heroes, and the outdoor theatre performance, which relives the historic Battle of Surabaya when the people fought to liberate their city from Dutch rule on Nov. 10 in 1945, is an annual affair that always draws large crowds in the city.